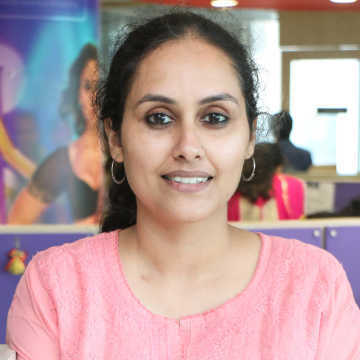 Sukhpreet Kahlon believes there is a treasure trove of films waiting to be discovered and brought to the fore in India. She gave up her love for teaching English literature to pursue film research. She has worked with prominent film festivals and likes to keep her finger on the pulse of the growing independent cinema movement. At Cinestaan.com, she writes on cinema and various film personalities. She also makes sure she never misses a Diljit Dosanjh film. A live installation takes audiences to a pre-cinema experience while encouraging them to engage with contemporary gender issues and ways of seeing. Dewan's film Daughter of Nepal tracks the journey of Manushi as she embraces the path that she was meant to take in serving her homeland. Ridham Janve, whose debut feature has been doing the rounds of festivals, explains why nature is not used as a mere backdrop in the film but is a character. In his unconventional film Mehsampur, Chowdhry breaks the barriers of conventional documentary filmmaking in order to access the layered personal history of one of the most popular singers of Punjab — Amar Singh Chamkila. Award-winning filmmaker Praveen Morchhale speaks about the importance of aesthetics for him while making a film and why he cannot wait to tell the stories he wants to tell. Filmmaker Praveen Morchhale's fascinating film takes a searing look at the lives of the so-called half-widows in Kashmir and the people left behind in a conflict zone. At the closing ceremony of the 2nd Kazhcha-Niv Indie Film Festival, Thampi recounted his own challenges and journey in Malayalam cinema. The editor-screenwriter was one of the mentors at the Kazhcha-Niv Indie Film Festival Script Lab this year. Speaking on day 4 at the Kazhcha-Niv Indie Film Festival lab, Mathews shared some crucial aspects that writers should keep in mind while penning their scripts. Day 2 of the Kazhcha-NIV Film Festival saw filmmaker and screenwriter KP Kumaran bring to the fore some of the challenges in making independent films. At a Coffee Chat session, filmmakers discussed the state of film criticism in India and thought through modes of exhibition wherein independent filmmakers could reach out to a wider audience.